You are invited to join the www.glos.info team and our contacts. The fun fundraising evening will give loads of opportunity for networking, whilst enjoying the entertainment, the auction and the fabulous raffle. 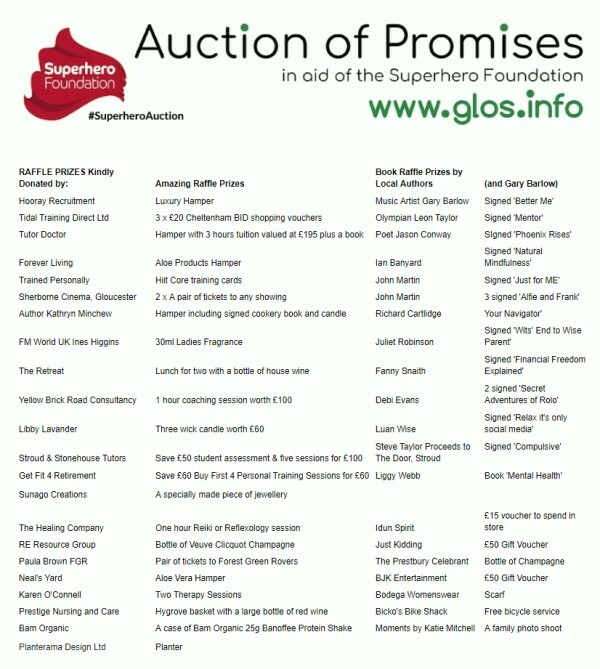 We have a vast array of lots up for auction at the Auction of Promises raising funds for Jamie McDonald and the Gloucester-based Superhero Foundation. There is no charge for attending, but we do ask you to book your free place please. Many of the lots are "money can't buy prizes" and others are fantastic experiences for you and your family. Full details will be available nearer the time. On the evening, you can expect to meet lots of Gloucestershire business people, a variety of entertainment, an auction hosted by Geoff Burch international business guru, a raffle and a fun evening! Alex Chalk MP and Bernard Fisher Mayor are confirmed as attending. 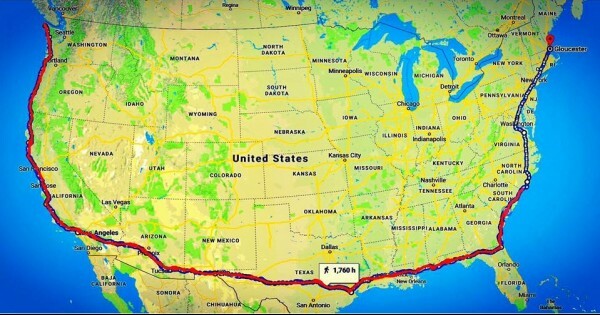 Jamie McDonald is currently running solo across America to raise funds for sick children. The www.glos.info director, Belinda Wilson, saw a post on Jamie's LinkedIn asking if any local companies wanted to partner with him to raise funds. So there and then we decided to run an Auction of Promises! Companies that are supporting the event with auction lots are and the full list is here. The team at www.glos.info for arranging the whole event and auction. Geoff Burch, international business guru, is auctioneer. Jurys Inn, Cheltenham supplying the room for the evening. Superdry head office have supplied the goody bags. Major Events will supply the red carpet and sounds system. The Business Choir who will be performing on the evening. Caspar Chamberlain from Trained Personally will be offering neck and shoulder massages during the evening. Kelly from Neal's Yard will be providing hand massages on the evening. Thomas Trilby will be offering circus-style entertainment on the evening. Jason Conway will be writing and performing a poem dedicated to Jamie and his Superhero endeavours. Rupert Aker, local artist, will be painting a picture on the night and then putting it up for auction. Love Viva Crafts and Cakes will be supplying a special cake for the evening. Superhero body art demonstration with Lisa from Magnificent Make up. Mallams Auctioneers in Cheltenham for lending us the gavil and block for the auctioneer. Click the map to access the live tracker and see where Jamie is today! All the profit from the the Auction of Promises will go to help sick children in the UK, mostly in the Gloucester region.